The advocates of our current version of Capitalism – Free Market Capitalism or ‘neo-Liberalism’ – freely admit that those fortunate enough to reside in the upper echelons of society will accumulate vast amounts of wealth, but claim that this wealth will naturally ‘filter down’ for the benefit of everyone. This is a complete fallacy, with the reality being that those at the top will use every trick in the book – legal and illegal – to hang on to their wealth and avoid sharing it with anyone else. This is perfectly illustrated by two events this week, where extremely wealthy people resorted to desperate and disgraceful measures to increase their already vast fortunes. 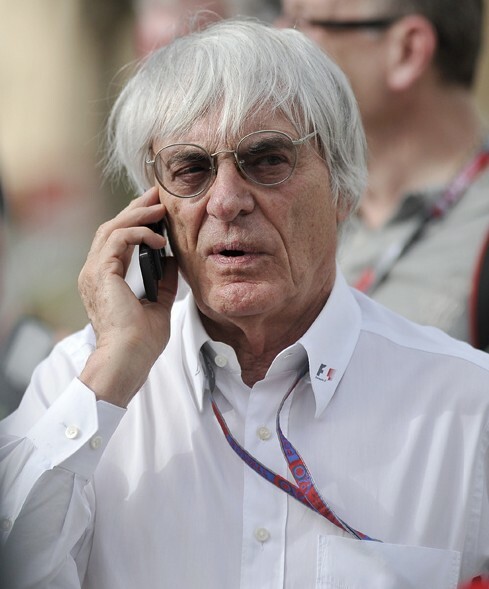 First, Bernie Ecclestone, the Head of Formula 1 racing, who is reputedly worth some £2.8bn, has been involved in a long-running dispute with the Inland Revenue over unpaid tax. Mr Ecclestone apparently set up a series of family trusts, which he then put in his wife’s name, before transferring them to the Tax Haven of Liechtenstein. This got him out of a tax bill estimated to be about £1.2bn*. However, after a 9-year investigation the Inland Revenue eventually agreed to drop proceedings, and Bernie Ecclestone has instead coughed up a mere £10m in underpayment: as much as he makes every 6 weeks in interest on the money! It may well be that by clever manipulation of legal loopholes he has stayed within the law, but it nevertheless shows the extreme lengths the very rich will go to, to avoid sharing their wealth with the rest of society, while at the same time ordinary people have to struggle on under the cosh of Austerity. What on earth does he need £2.8bn for anyway, other than to show it off as an obscene status symbol? If he’d paid the £1.2bn tax and was now worth ‘only’ £1.6bn, in what way would that have adversely affected his lifestyle? One wonders whether he considers how the tax he’s avoided could have gone to improving the lives of so many ordinary people, or is his selfishness so complete he really doesn’t give a damn? The second story concerns Taxpayer-owned Royal Bank of Scotland, where it was announced this week that the government will not allow the bank to pay bonuses of 200% of annual salary to their staff, but must instead stick to the 100% limit agreed by the EU. So chief exec Ross McEwan can ‘only’ be given a maximum bonus of £1m on top of his £1m annual salary. So what have RBS done? Announced that Ross McEwan will now also be paid a £1m annual ‘allowance’ on top of his salary. In other words he will still get the extra £2m/year that a 200% bonus would have delivered*. These people just take the p*ss – not only have they clearly learnt absolutely nothing from the financial crisis, but they continue to blatantly milk the system for all it’s worth right under our very noses, by side-stepping the rules without even trying to hide what they’re doing. This is Free Market Capitalism at its very worst – allowing those with the wealth to make the rules, which enables them to take as much money for themselves as they like, while the rest of us all have to pay for their excess. What we badly need is a system of governance where those in power are truly independent of those with the cash, and the rules and laws are made for the benefit of all society, not just the wealthy elite at the very top. Until we get that, the vast injustices that we witness on an almost daily basis will continue unchecked. Many people will be aware of the corrupting influence of Big Business on our government, but this is now being taken to a new level with the latest trend for party leaders to hire corporate gurus to run their election campaigns. It was Tony Blair who introduced the whole idea of ‘spin’, assisted by his henchman Alastair Campbell, but at least Alastair Campbell had a genuine interest in the Labour Party, and a genuine belief in its policies. Now party leaders hire professional lobbyists and PR consultants, who will work for whoever pays them the most, whose only loyalty is to themselves, and who invariably use their new-found political influence to alter legislation for the benefit of their corporate clients. So we have David Cameron hiring Lynton Crosby, a £500,000/year consultant from Australia who has been called the “master of the dark political arts”. Shortly after his arrival at No. 10 David Cameron dropped plans for minimum pricing on alcohol, opted against plain packaging on cigarettes, and gave tax breaks to fracking companies. * The fact that Lynton Crosby’s consultancy counts Distillers (alcohol), Phillip Morris (tobacco), and Dart Energy (fracking) amongst its corporate clients, left many people gasping with incredulity. He also has business interests in the Healthcare Industry just as the Tories are pushing ahead with privatising the NHS. Co-incidence? What all these appointments signify is a trend away from any attempt at government for the people, with policies for the common good, but instead show new heights of corruption of the democratic process. And it is absolutely clear that unless we all do something very soon, the takeover of our democracy by corporate interests will be complete, and ordinary people will be little better than slaves in a world ruled exclusively by money and big business. The Maria Miller controversy has rightly caused public indignation at what is seen as corruption and arrogance by the ruling classes. However although she and her party have behaved badly, we should not lose sight of the fact that this is just the tip of a very nasty iceberg. In many ways MP’s pay and expenses are the lightning rod of a fundamentally unjust system, which gives many people fabulous wealth, while leaving many more people struggling in poverty. What the MP’s pay issue highlights is the vast disconnect between what most people perceive to be ‘fair-pay’, and what those in the upper echelons of society actually earn. People look at Parliamentary pay (currently £66,000 for an MP, rising to £134,000 for cabinet ministers and £142,000 for the Prime Minister), and consider it’s more than enough for anyone, and therefore get rightly aggrieved when MP’s try and leech yet more money through the expenses system. MP’s on the other hand look at what top businessmen generally earn (chief exec’s of FTSE-100 companies currently average £5.1m/year) and conclude – correctly – that they’re underpaid compared to what they could get in the private sector. So the public think they’re overpaid, while they think they’re underpaid. This huge disconnect is a result of the philosophy that the best way to run a society is to let ‘the market’ decide everything, including everyone’s salary. Inevitably what this actually means is that those at the top, who effectively control ‘the market’, reward themselves handsomely, while everyone else is forced to accept just the bare minimum. Also in these circumstances it’s no wonder those who work in public services adore the concept of privatisation. The top 5 earners at British Gas took home average pay of more than £3m each last year. * If British Gas was still publicly owned such outrageous salaries would come under intense public scrutiny and criticism, but as a private company they dismiss such criticism claiming they get the ‘market rate’, justify British Gas’s vast profit on the basis that a 5% margin is ‘reasonable’, and basically tell the struggling populace to just shut up and stop complaining. Until we can get away from this belief in ‘the market’, those in positions of power will continue to run rings round the rest of us, and we will continue to live in a very unfair and unjust world. For more on the huge issues of pay inequality click here. Whatever people may think about the content of the debate between Farage and Clegg, last night will prove to have a been a massive watershed in British Politics. For the first time in living memory, a major political debate took place, and neither the Tory Party nor the Labour Party were involved. The significance of this should not be underestimated. For too long our political system has been dominated by the same two parties – parties who may have come from very different roots, but have over the years moved closer and closer together, to the extent that it is now very difficult to tell them apart. They both support Free Market Capitalism, they both think Austerity is the answer to our economic problems, they are both in hock to big business, and they have both been corrupted by the power of money. Add to that career politicians who don’t know what real life is like, a desire to ‘spin’ every policy announcement, a complete inability to tell the truth, and it’s no wonder the British public have become increasingly disillusioned with the pair of them. Their combined share of the vote has dropped in every single election since the Second World War, and finally some other political parties are starting to make inroads into the system. It matters not whether you think the Clegg’s Lib Dems are the only party who really care about people, or whether you think they sold out by propping up the Tory Party in government. It matters not whether you think Farage’s UKIP are a breath of fresh air, or whether you think they’re dangerous extremists. The fact they can have a debate with each other and generate such media and popular interest, shows that people are waking up to the fact that the two main parties have both become increasingly disconnected from society, and that neither of them are capable (or even interested) in reflecting the needs of ordinary people. As they can’t bring about the change we need, that change is going to have to come from elsewhere. Last night showed that our political system is indeed changing, at last, and that can only be a good thing. For more on what we can all do to help bring about a better society click here.